These high quality shingles easily combine the warmth and appeal of cedar shingles with the strength and durability of galvanized steel. This combination creates an elegant roofing product which replicates the rich deep hand-hewn texture of wood. 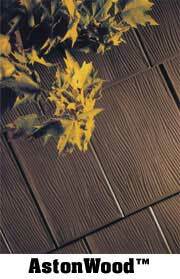 Astonwood shingles are available in a selection of attractive colors.